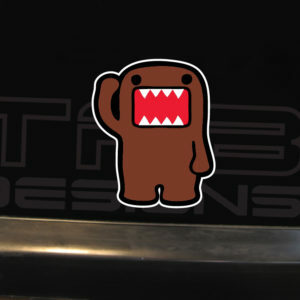 This is a decal that features the JDM Domo character. 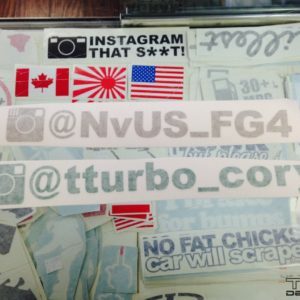 You will receive one decal in the size and color of your choice. You will also receive installation instructions. 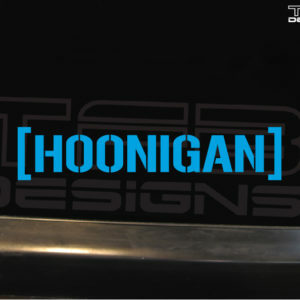 This decal is made from high quality precision cut vinyl. 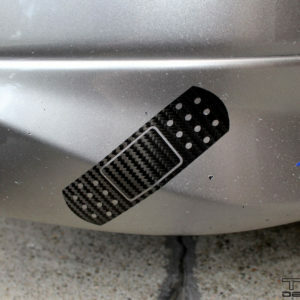 This is a precision cut vinyl decal that features the shape of two bandages. You will receive the size and color of your choice. You will also receive instructions with pictures for an easy installation. 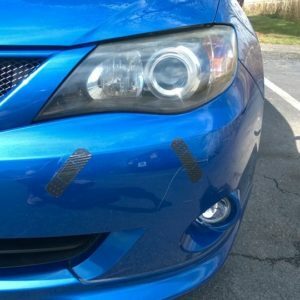 This decal is made from top grade vinyl and will not fade or peel. 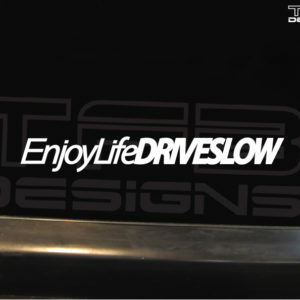 This is a precision cut vinyl decal that reads enjoy life drive slow. You will receive the color and size of your choice. 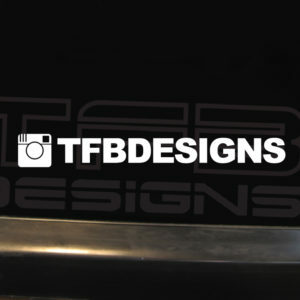 This decal has adhesive backing and instructions are included for an easy installation. Please choose the color and size you would like. 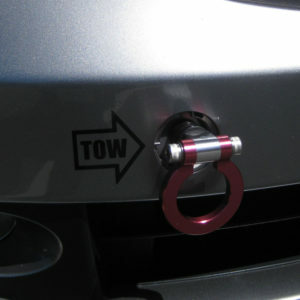 This is a precision cut vinyl decal that features an arrow pointing to your tow hook. You will receive the color of your choice. You will also receive instructions with pictures for an easy installation. 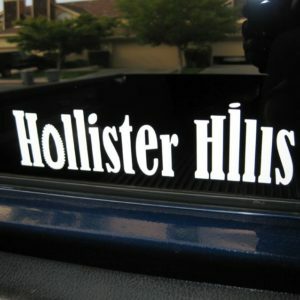 This decal is made from top grade vinyl and will not fade or peel. The measurements are just under 3 inches. 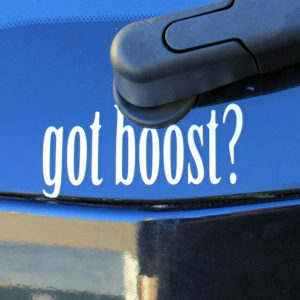 This is a precision cut vinyl decal that reads, Got Boost? 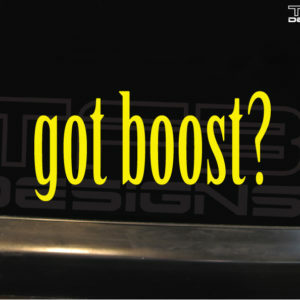 Great for any turbo or supercharged car. You will receive the size and color of your choice. You will also receive instructions with pictures for an easy installation. 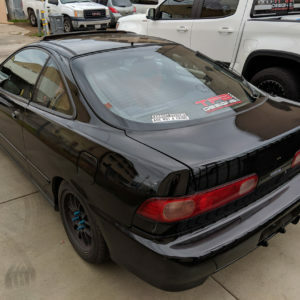 This decal is made from high quality vinyl and will not fade or peel. Pictured in white. 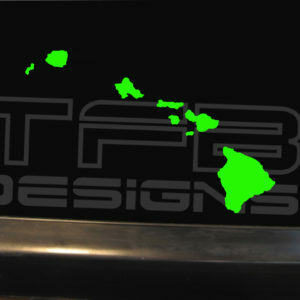 This is a cut vinyl decal featuring the Hawaiian Islands. You will receive the color and size of your choice. This decal has adhesive backing and instructions are included for an easy installation. Please choose the color and size you would like. 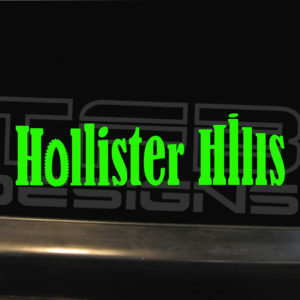 This is a cut vinyl decal that was inspired by Hollister Hills SVRA. This decal will be made in the size and color of your choice. You will also receive instructions with pictures for an easy installation. This decal is made from top grade vinyl and will not fade or peel. 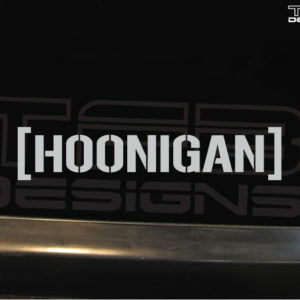 This is a vinyl decal that reads [Hoonigan]. 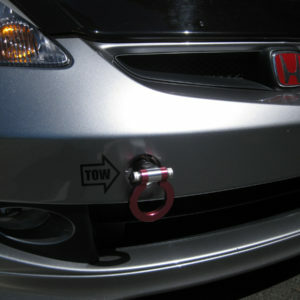 Great for for all drivers who like to drift and do burn outs. This item is made of high quality vinyl and will not fade or peel. 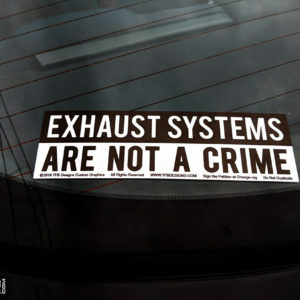 You can remove this decal years later and it will not harm your car. Please choose the color and size you would like. 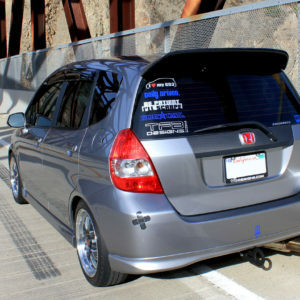 This is a I Love my car decal made from precision cut vinyl. 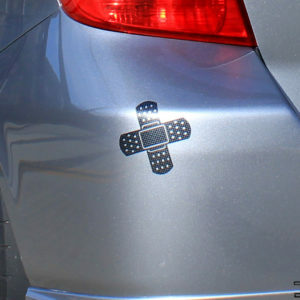 This decal has adhesive backing and can be applied anywhere you like. 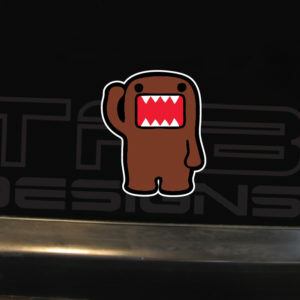 This decal is approx 7 inches wide. You will also receive instructions for an easy installation.